Social media background checks are getting lots of ink. 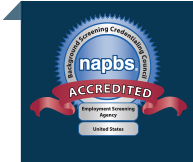 If you’ve been rea ding our blog — or any other blog related to employment screening, for that matter – you know that social media background checks have been in the news. A lot. Not only has this method of checking the background of prospective employees been in the news, it’s also being discussed in many-a conference room where HR managers, corporate legal experts, and others are wondering how to safely leverage social media as a hiring and screening tool. What do we do about Facebook? And LinkedIn? How about Twitter? And that goldmine, YouTube? We want to know all we can about our prospective employees, right? Wouldn’t this be a great way to gain raw insight into the character of someone who may soon join our company? ‘Social media search for employment’ is the buzz phrase, but make no mistake. This is nothing new! What we’re really talking about is open-source intelligence. For decades, the FCRA has defined an investigative consumer report as containing information about a person’s “character, general reputation, personal characteristics, and mode of living.” If you’re an employer, this is the type of information you usually want to know before making decisions about an applicant or employee, right? I don’t know if the senators from CT and MN have picked up on this, but social media searches are really no different than any other open-source intelligence and as such, are already addressed under FCRA regulations. Even the FTC, which issued a private ruling to Social Intelligence found no reason to pursue a case. And let’s not forget, employers not only have a right, but a duty to ascertain this information. (It’s the ‘ole ‘should have known’ negligent hiring predicament.) Hate to say it, but someone who chooses to portray themselves in certain ways on the internet will make an employer stop and wonder what sort of judgment that person will exercise in the workplace. Don’t you think? Okay, okay, there are some definite caveats here so let us step off our high horse for a second. We cannot pretext Facebook and infiltrate someone’s network by being their friend. We can’t violate the terms of Facebook or any other online community. We should not, without permission, distribute or compile copyrighted information. There are definite rules to be followed. Not to mention FCRA, EEOC, and Fair Hiring guidelines. But let’s also remember that we’re not doing these searches without first having the individual’s permission. Employment screening companies cannot conduct a background check without the written authority of the applicant or employee who is the subject of the search. What do you think? 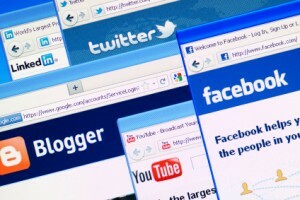 How is your company using social media for employment purposes? We’d love to hear your thoughts. And if you’d like to discuss your employment screening program with an expert, request a meeting with us. We’re happy to offer a free initial consultation.